Our latest project is StuG III G made by Alkett in first days of January 1945. Now we’re working with chassis , and suspension. Original bearing, and german grease. Some drive parts. Bearings from drive. Flak 88 /18 and halftrack leaving Normandy..
Sdkfz 251/1 form 12 SS PanzerGrenadier division, leaving Normandy after 70 years. 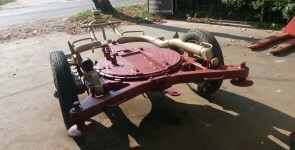 Stug III parts just arrived from Latvia. First works on fully original flak 38, even the tires and tubes are original from 1939! Mounting the armor and gearboxes First flak almost completed. Note that this piece was only repainted, even all the bearings are original! Kdf 82 – we’ll try to keep all original painting on it. 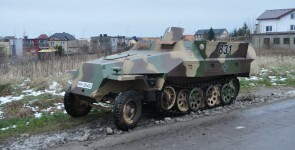 This project was bought together with Sdkfz 7 from a collector from Czech Republic this autumn. Sdkfz 7/2 is mostly complete. 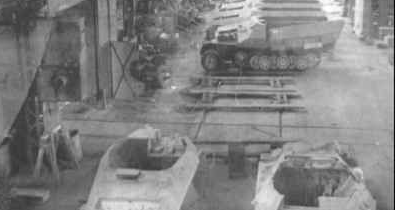 It has an original armored cab, and rear deck with flak mountings. The work is going on , and the mess is getting bigger..